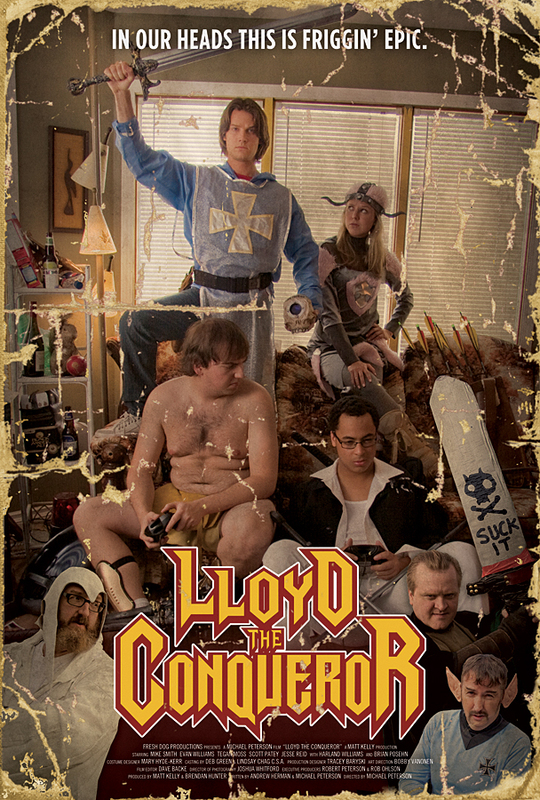 As I promised in my Philly Wizard World Comic-Con highlights; I’d be reviewing a little Indie flick entitled Lloyd The Conqueror. Set in the eccentric and comedic world of Live Action Role Playing, Lloyd the Conqueror follows our hapless hero and titular character Lloyd, a lazy college student, and his two somehow even lazier best friends Patrick and Oswald. Desperately needing to pass their college Medieval Literature class to keep their financial aid, they beg their teacher for extra credit. Their hard assed professor, Derek, concedes but only on one condition: They must join his deteriorating LARPing league and battle against him in a game of Demons & Dwarves. Derek, however, attempts to stack the deck against them by amassing a mighty army in the field behind the Elementary School. To prevail against his Horde of Chaos, Lloyd must enlist the help of Cassandra, an ex-cage fighter & womens self defense instructor and Andy, local gaming merchant and former White Wizard, Champion of the Light (who enjoys wrestling without clothes on). 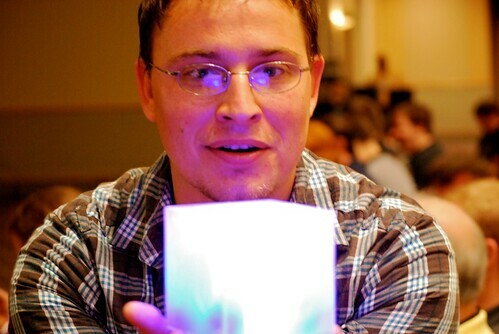 Holy Hulk Smash (to steal a priceless reaction from a good friend, @streetg33kgirl on twitter, follow her!) this movie was phenomenal! The Avengers comes storming into theaters with the full force of the summer blockbuster that everyone knew it would be; what everyone doubted though was how well Joss Whedon would be able to deliver a big budget action adventure on this scale (sadly me included), needless to say I’ve never been happier to be wrong! What no-one considered is that any idiot like McG can make explosions look pretty with enough computers and money, it’s the story and characters that should be perfected and only then fill in with action to supplement. Instead of just an action popcorn movie with some drama and some comedy, the Avengers delivers action in its drama, comedy in its action, and yes at times drama in its comedy. We get a completely satisfying movie whose sum is indeed greater than the parts of it’s whole.